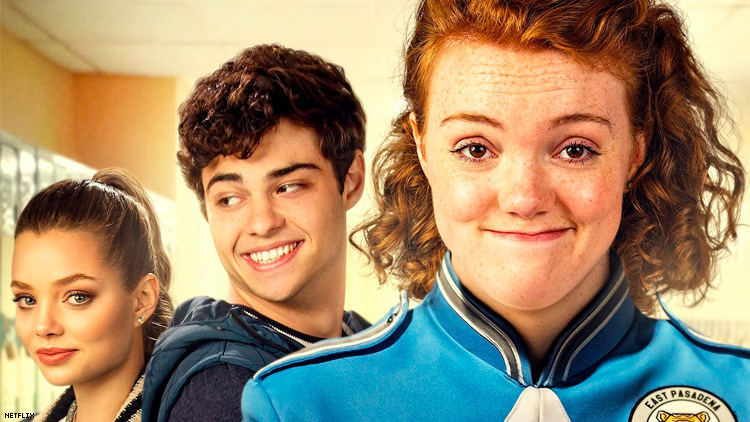 After hearing criticism that the bullying in the Netflix film Sierra Burgess Is a Loser is insensitive to LGBTQ viewers, screenwriter Lindsey Beer says she is "deeply sorry." The film, Netflix's 2018 take on Cyrano de Bergerac, stars bisexual Stranger Things alum Shannon Purser as the titular character. In the film, a bully tells Sierra to write an essay about her "trans experience." In another scene, when Sierra feigns being deaf, a friend calls her a "hermaphrodite" to sniff out if she's faking. A recent private conversation with Beer was released on Twitter, in which she addressed the criticism. "I am so sorry that the line in the movie upset you. It was not supposed to be a joke at the expense of the trans community. The line was supposed to vilify the mean girl, and be the opposite — the example of something only a horrendous human would think or say," Beer wrote. When the user pressed further, mentioning that trans teens have the highest rates of suicide and citing the murder of a trans woman earlier this month, Beer explained that she had been on the receiving end of similar taunts. Purser has also commented on the backlash from playing Sierra Burgess. “It’s not really important that people agree with everything Sierra is doing or even like her, but that they understand the reality behind these real kids who do cyberbully and who do hurt one another and where that comes from," she told Refinery29. When asked if she was surprised by lesbian and trans jokes as a member of the queer community, Purser said that while she would not personally make those remarks, she has heard them come from young people.